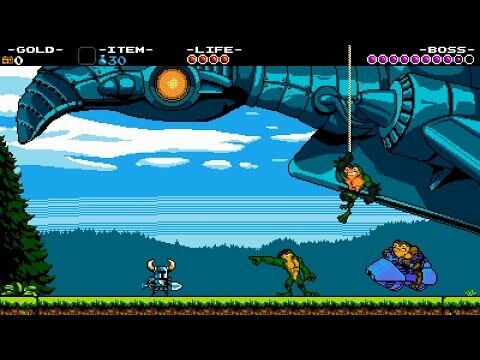 Yesterday I played a few hours of the new Xbox One version of Shovel Knight – a game that, while I found it late, I really love. I hit the new Battletoads Easter egg that was added in for this version, not only because that’s part of completing everything in the game, but also because I love Battletoads. It’s one of the most well done Easter eggs I’ve seen in recent gaming memory for a couple reasons and that, along with a great Kotaku article today on Destiny players tearing apart the Vault of Glass got me thinking about Easter eggs again. To me, Easter eggs really fall into a couple categories. First there’s the ones that you find and are more artistic in nature. Usually they’re homages to developers other series they’ve worked on, or are tributes to the development team. The basement room in Saints Row 2 is a quick example, but I think the best example here is the tribute room in Halo: Reach. These Easter eggs are always nice – they’re love letters to the fans that have supported the games. The real nice thing with this style Easter egg is that they are versatile. They can be sprinkled in across the game, with varying degrees of hiding them. Sometimes they’re just in a room off the main path (Saints Row 2), while others take a bit more effort (Halo: Reach). The other style Easter egg that I really think of are the ones that are interactive in some way. These can range from small encounters – the Lambent Chicken in Gears of War or the Minecraft creepers in Borderlands 2 – to larger scale ones – the Cow level in Diablo, or the Battletoads boss battle(s) in Shovel Knight. These Easter eggs are my favorites. They also show a lot of appreciation for the fans – especially the ones that are crossovers, acknowledging that fans play multiple games – while keeping the fans engaged and playing. Sometimes these kind of Easter eggs blend together – the Halo: Reach trophy room has some elements of engagement with it. Serious Sam was infamous for the sheer number of secrets – some were purely gameplay mechanics, hearkening back to the DOOM days – but others did have traditional Easter egg elements. In the end, Easter eggs don’t necessarily have to have any direct impact on the game. 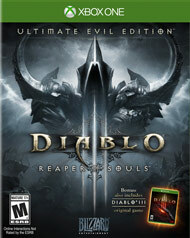 The ones that do are that much better – the Cow level in Diablo III gives you more experience per kill. The Minecraft creepers drop rare gear in Borderlands 2. Sometimes developers tie the Easter eggs into the achievements – there are a couple in Borderlands 2 like that. The value in Easter eggs lies with the player. Some gamers will skip them and focus on just playing the game. I love digging into the little extras that developers put their time into. A good Easter egg can help keep me invested in a game, mainly when I’m digging for it. And really at the end of the day, they tend to be fun, and that’s what playing games is all about.